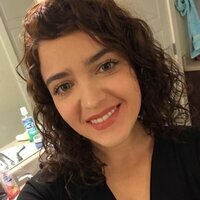 Lorena - Cullman : I am a native portuguese speaker from Brazil currently living in Cullman, Alabama. I am an environmental engineer. I was born and raised in Brazil but I am currently living Cullman, Alabama in the USA. Since Portuguese is my native language, I can help you with any skill you might be having trouble. 10th Brazilian Symposium on Rainwater Harvesting and Management. Unlocking the potential for rainwater harvesting in Brazil. 2016. (Symposium). II Amazonian Congress of the Environment and Renewable Energies. Engineering, Environment and Energy Development in the Amazon. 2016. (Congress). I Amazonian Congress on the Environment and Renewable Energies. Environment, Energy and Sustainable Solutions. 2015. (Congress). V Amazonian Meeting of Agrarians - ENAAG.A Importance of Technology and Entrepreneurship in the Amazon. 2013. (Meeting). Science on the island. Renewable Energies: hydroelectric, hydroelectric power generation .. 2012. (Other).